Hawthorn LED Round 9W Panels are designed to replace the traditional PL downlights commonly seen within offices and communal areas. The solid construction of this unit offers both uniform light distribution, as well as maintenance-free operation. 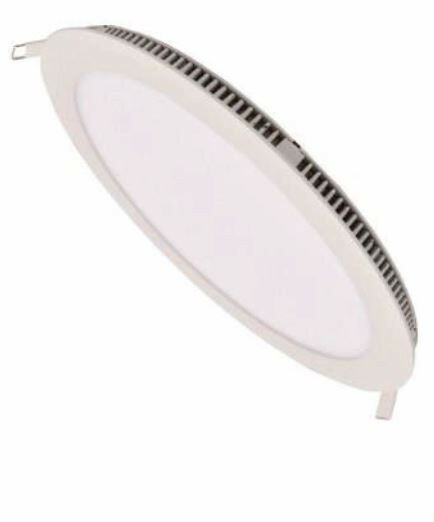 The downlight comes prewired with standard driver, and can be upgraded to dimmable driver (1-10V/DALI/DSI) upon request. Using original Epistar chips this unit is truly a fit and forget solution. Long lamp life above 50,000 hours, 3 years warranty, IP22 rated. Applications: in hotels, restaurants, Schools, Offices, Supermarkets & Hospitals, Commercial Complexes, and Residential/Institutional Buildings. Requires 135mm dia ceiling cut-out. -- Please Select --Std Driver Dimmable Driver - CALL!